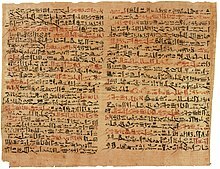 ^ Herodotus. “Chapter 77, Book II” (English translation). The Histories. ^ Marten Stol (1993), Epilepsy in Babylonia, p. 55, Brill Publishers, ISBN 9072371631. ^ H. F. J. Horstmanshoff, Marten Stol, Cornelis Tilburg (2004), Magic and Rationality in Ancient Near Eastern and Graeco-Roman Medicine, p. 97-98, Brill Publishers|Brill Publishers, ISBN 9004136665. ^ Paul Vallely, How Islamic Inventors Changed the World, The Independent, 11 March 2006. 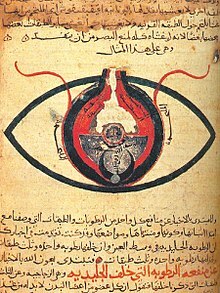 ^ Dr. Abu Shadi Al-Roubi (1982), "Ibn Al-Nafis as a philosopher", Symposium on Ibn al-Nafis, Second International Conference on Islamic Medicine: Islamic Medical Organization, Kuwait (cf. 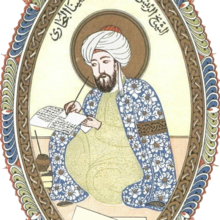 Ibn al-Nafis As a Philosopher Archived 2008年2月6日, at the Wayback Machine., Encyclopedia of Islamic World). ^ Dr. Sulaiman Oataya (1982), "Ibn ul Nafis has dissected the human body", Symposium on Ibn al-Nafis, Second International Conference on Islamic Medicine: Islamic Medical Organization, Kuwait (cf. 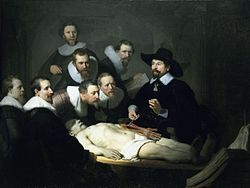 Ibn ul-Nafis has Dissected the Human Body Archived 2009年10月23日, at the Wayback Machine., Encyclopedia of Islamic World). ^ H. R. Turner (1997), p. 136-138. ^ A Neurologist Looks at Mind and Brain: "The Enchanted Loom"
^ Madigan M, Martinko J (editors) (2006). Brock Biology of Microorganisms (11th ed. ed.). Prentice Hall. ISBN 0-13-144329-1. ^ Wujastyk, Dominik (2003). The Roots of Ayurveda. Penguin.